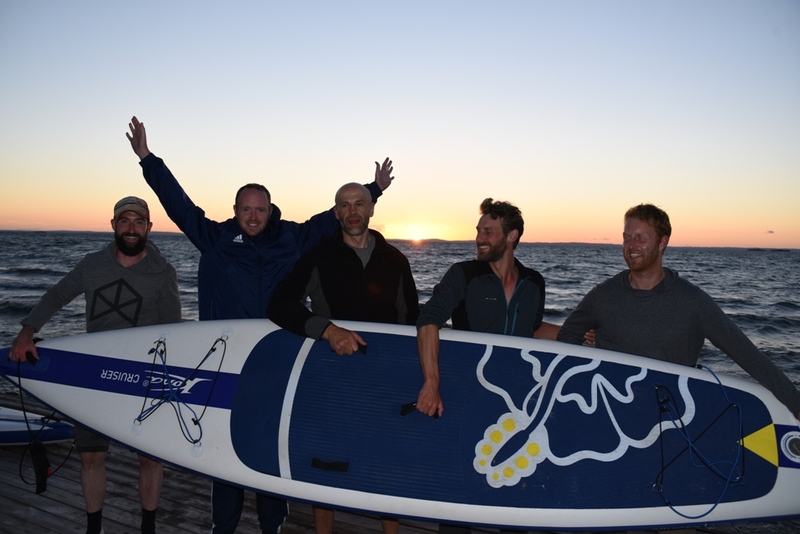 In 2016, Tarran Kent-Hume and a team of Stand up Paddle Boarders completed a 15 day 700km Stand Up Paddle Board expedition through Sweden. Tarran is an Australian Adventure Athlete who has competed in a number of different sports and adventures and the team was itching for a new challenge and they literally just set out to make it happen. We caught up with Tarran recently with a few questions about his challenge. “SUP Sweden was to stand up Paddle Board from Gothenburg to Stockholm via the great lakes, on the Gota Canal and through the Baltic Sea” He explains. “After my incredible yet intense experience of kayaking the Amazon River, where I escaped pirates, gunfire, crazy electrical storms and sunstroke, I wanted to share my love of adventure with some friends and after a couple of glasses of wine I got chatting with one of my mates, Marcus, in Stockholm Sweden and he mentioned that Gota canal which lots of boats pass through and people cycle the length of. From here I did my research and wanted to make it tougher and do a first and the distance from Gothenburg to Stockholm worked out at just over a marathon a day, so that was that”. “I wanted to do something fun and exciting that would combine a couple of the things that make me tick, the things that get me excited about life, Adventure and Friends. Adventure is a great excuse for us all to take a breath and live in the present with no stress of the outside world. We’ll laugh together, eat together, live together and SUP together. Like most outdoor expeditions, a challenge like this comes with its…well…challenges, and Tarran’s Swedish SUP tour had plenty of barriers to break through. “The wind and the waves, these killed us” he explains. “On the lakes and on the Baltic sea, we were using these Kona inflatable paddle boards and they stood the test for the flat waters and small waves, but we got caught in a storm on Lake Vattern with near 6ft waves beating down on us as well as the wind pushing us well off course”. To read the full article, to enter the competition and to read FOR FREE edition 51, click here!